SquareMeal is a young, dynamic, fast-growing company with market-leading products across a full range of platforms – from websites and exhibitions to guides and magazines. It has a reputation for accurate but entertaining restaurant commentary built over 28 years and its community of high-spend diners is unequalled in the UK, making approximately £150m of restaurant reservations online and by telephone annually. Its Venues + Events division has a market-leading position in print magazines and online, as well as an award-winning exhibition, Venues + Events Live, attracting over 7,000 event organisers and bookers each year. We’re always on the lookout for talented, bright people who share our enthusiasm for excellence in this fun and lively industry, and want to work in a creative, go-getting, happy environment. You can meet the team here. If you are interested in working (or writing) for SquareMeal please email your CV to editorialjobs@squaremeal.co.uk for editorial positions, and salesjobs@squaremeal.co.uk for media sales positions. Specific jobs we’re currently recruiting for are listed below. 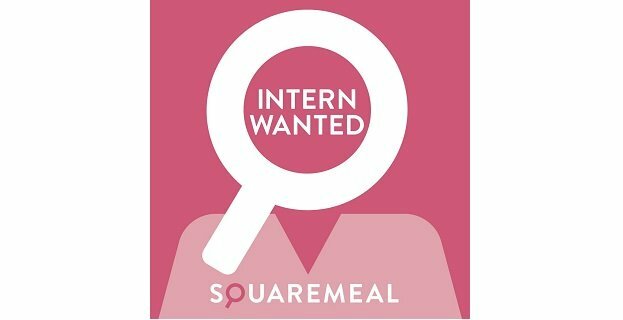 SquareMeal are offering three and six month internships to work with the editorial team on a range of exciting projects. We are looking for students and new graduates with an interest in online journalism, restaurants and food to work with the editorial team and join us for a three or six month full time paid internship. As part of your role you will be writing content for some of SquareMeal’s newest ventures and offer admin to support the editorial. This is a great position for someone who is looking to enter the fast-paced world of online publishing and will offer valuable experience working with an established team. For almost 30 years, SquareMeal has been the market-leading independent restaurant commentator, with up-to-date reviews of 5,000 London and UK restaurants and bars, written by a team of independent critics with the aid of comments from thousands of restaurant customers. Squaremeal.co.uk is updated throughout the year and over 11,000 restaurant reservations across the UK are made through the website.